Qatari German Company for Medical Devices (QGMD) and Al-Jazira Healthcare group have signed a cooperation agreement for the manufacture of medical devices to be used in Qatar to meet the needs of the local market. This initiative is in line with Qatar National Vision 2030, which aims at achieving self-sufficiency in this sector. 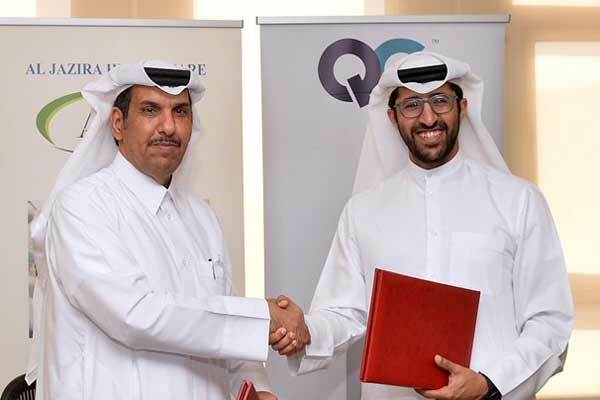 The agreement was signed by Saleh Majid Al Khulaifi, board member of Qatari German Medical Devices, and Mohamed Al-Hajiri, chief executive officer of Al-Jazira Healthcare group. It is worth mentioning that QGMD has technical capabilities to provide various sterilisation methods and devices such as Ethylene Oxide Sterilizer (ETO Gas) with a capacity of up to 30 cu m, in addition to steam sterilisers with capabilities to meet the needs of medical supplies in Qatar. All sterilisation tests are conducted inside the factory to ensure that the sterilisation process has been done successfully using the most recent methods and international standard. Qatari German Medical Devices has a fully qualified team with high expertise in the field of medical manufacturing.